For today’s dose of interior inspiration we turn to Cape Town-based firm Just Interior Design . As one of the country’s prime interior design companies, Just Interior Design prides itself on turning their clients’ interests and desired into bespoke spaces that speak of personality, functionality, and, of course, a whole lot of style. Regardless of the size of the project, and whether it’s for a residential or commercial space, the end results are always unique. A glance at the portfolio of Just Interior Design reveals a wide array of projects, from high-end custom furniture designs to expertly staged properties to ensure maximum return on investment. Today’s highlight from their portfolio? A modern man cave located in Ballito, KwaZulu-Natal. This project came about when one of the firm’s clients requested a man cave for her husband’s birthday. 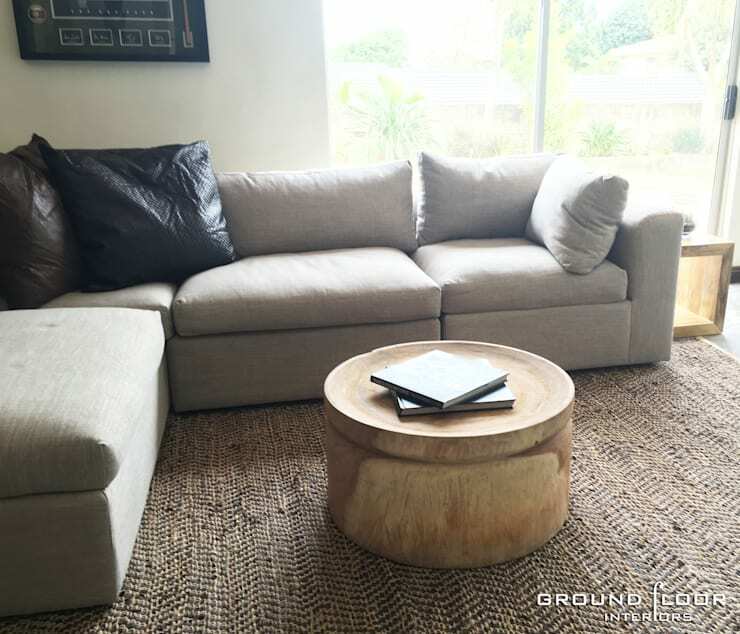 Taking comfort into consideration, the experts obliged by providing this super luxurious (and oh-so comfortable) corner sofa that became somewhat of a focal point for this ‘man space’. Of course the perfect design is not just about strewing a bunch of elements together; it’s about ensuring that the end result speaks of the client’s personality via accessories, colour palette, motifs, etc. 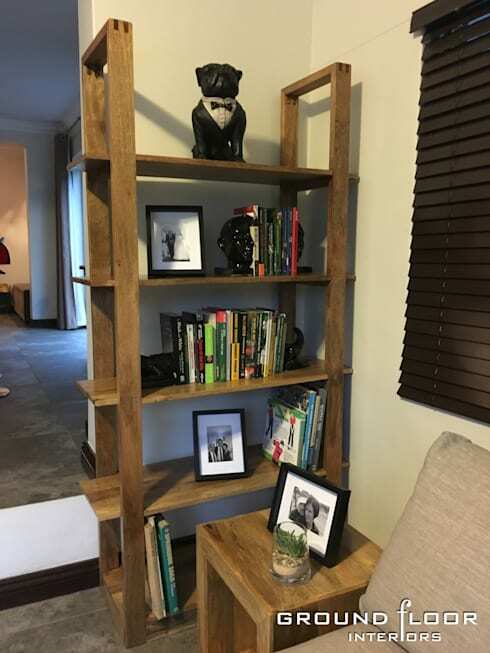 Hence, this corner bookcase (in a beautiful rustic wood) that expertly takes care of storage while also displaying a few choice décor pieces. But how do you ensure that elements like a plush sofa and bookcase still flaunt a masculine look? 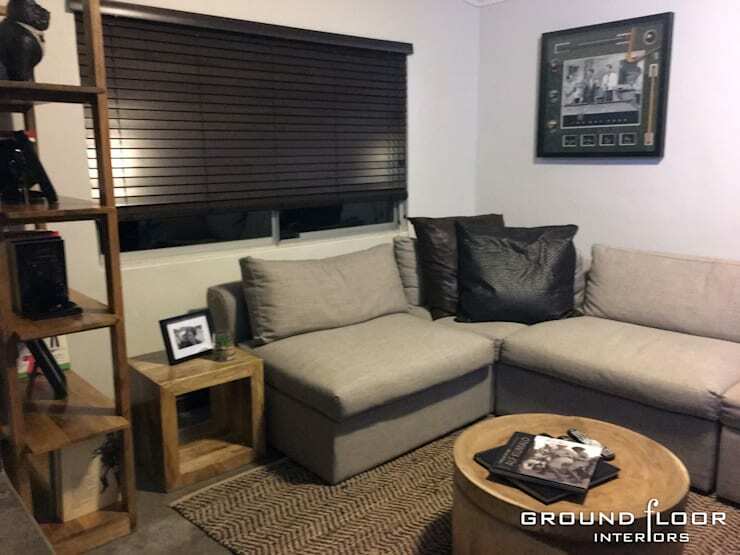 By focusing on the hues and textures, of course, which is why this man cave has been expertly laid out in an earthy, neutral colour palette – ensuring the end result is simultaneously stylish, timeless and manly. In keeping with the ‘comfort and relaxing’ theme, the necessary add-ons were also included, such as the television (super important! 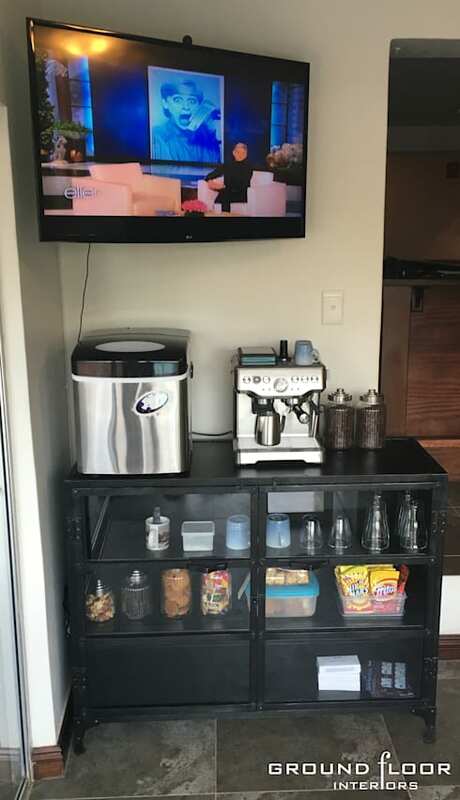 ), a coffee machine, plus a variety of snacks, ensuring that this space scores 100% in terms of spending a cosy weekend indoors! From one interior space to another, let’s discover A stylish entertainment area by a Sandton interior designer. Would you consider a man cave such as this one?